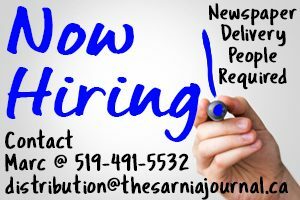 So says Tony D’Agostini, manager of public works and an overseer of Sarnia road repairs. The job of pothole patroller is delegated to one city staffer and the schedule is set a year in advance. Busier streets are inspected every few days while residential side streets roads might get a look-see once a month, D’Agostini said. Roads are patched up two ways — with cold mix or hot mix asphalt. Throughout the winter, several two-person crews comb the city and shovel hardy cold mix into the new potholes. It’s a Band-Aid and the process takes about 10 minutes. If water seeps in or the weather doesn’t cooperate the pothole will reappear, D’Agostini said. Last year, 400 tonnes of cold mix asphalt was needed to fill new holes in a bid to keep streets navigable and car wheels from hitting bottom. Hot mix, he said, is a better solution but can only be applied in warmer months. It comes straight from the plant at 300 degrees Fahrenheit, and loose road chunks are first scraped out of the pothole before it’s raked in. A four-person crew does the work, usually with heavy equipment on site, and the process takes several hours, D’Agostini said. When a resident calls City Hall to report a pothole it sets the clock ticking on its repair — within four days for the busiest streets. “We’re just opening ourselves up to liability if we don’t (repair it),” D’Agostini said. But fixes are temporary. 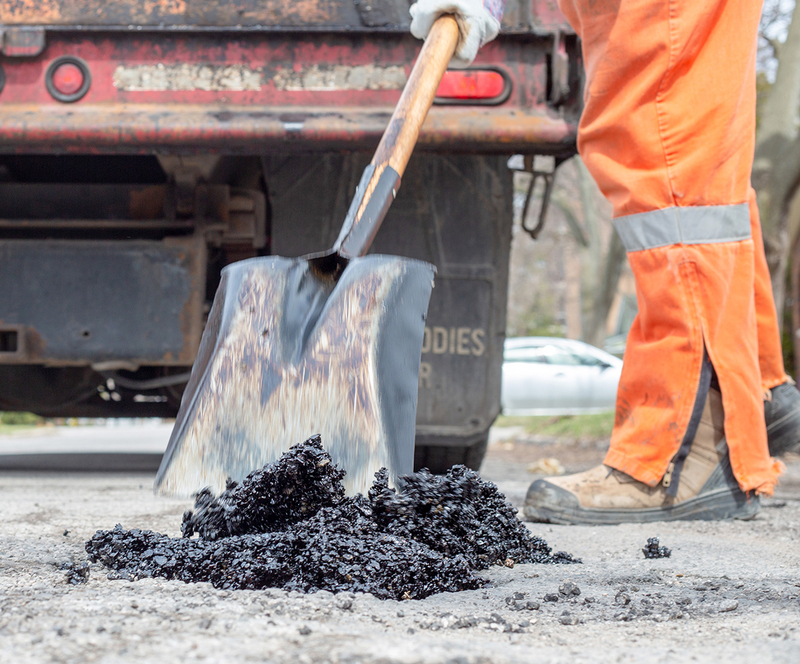 This year, the city has committed $2.3 million for full-street resurfacing, said Rob Williams, Sarnia’s construction manager. First up will be Christina Street, from Michigan Avenue south to about the county courthouse. The boundary between Sarnia and Point Edward is the centre of the road, so each is contributing about $600,000, Williams said. The work is expected to take about four weeks. A resurfacing of Michigan Avenue from Christina to Indian Road has also been confirmed. The lifespan of a street is determined by traffic volume and drainage. Those on sandy soil — generally north of London Road — tend to last longer than those on clay, even with tiles laid below to improve drainage. “A lot of times our pavements have failed but they continue to perform. We’re still using a lot of these roads that are well beyond their design life,” Williams said. Residential areas have the lowest priority. “Some of our worst roads might have the least number of users,” he said.